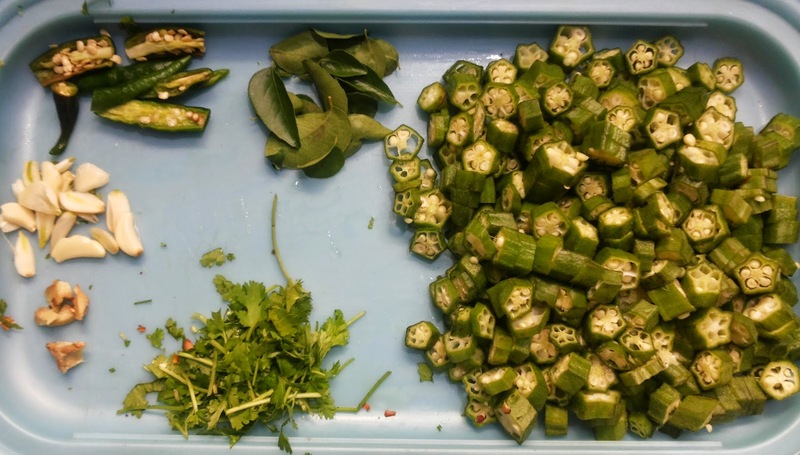 Bhendi/Lady finger/Okra is the vegetable which is known for its rich fiber content. It improves digestion and and helps in weight loss :) There are many ways of preparing Bhendi like bhendi fry, stuffed bhendi, dahi bhendi, crispy fried bhendi and many more. 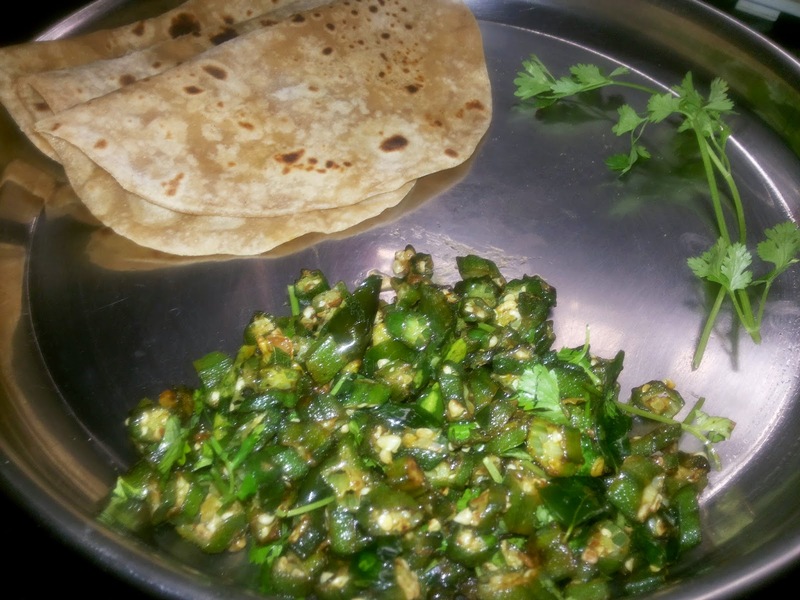 I will explain here the simple fried Bhendi recipe that we prepare in our day to day life for chapati as a side dish. 1. First wash the Okra and wipe them with clean cloth until dry. 2. 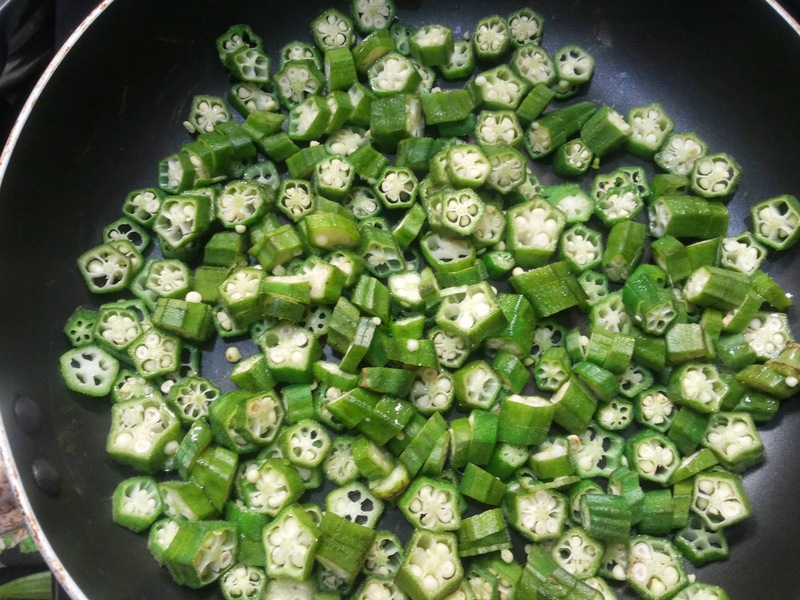 Fry the Okra in a half table spoon of oil until it leaves all the water content and become dry. 3. 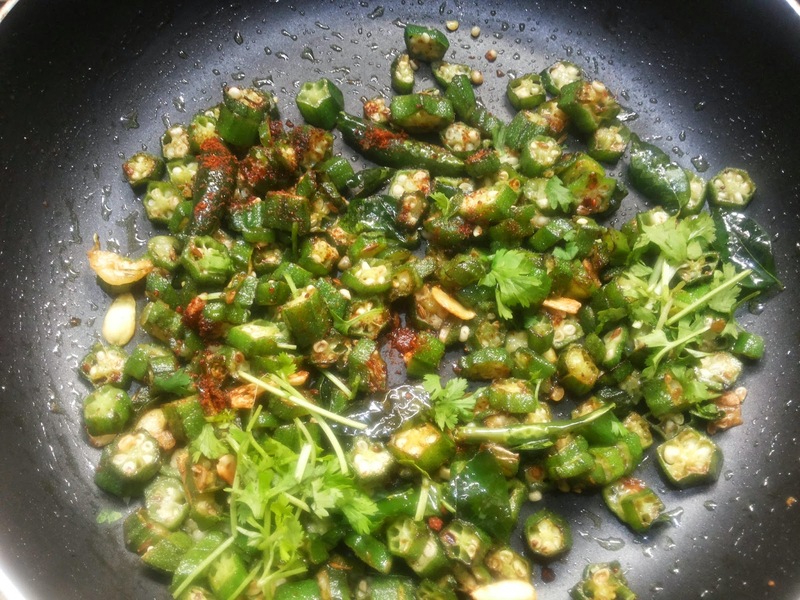 Heat oil on a medium flame and add the items to temper when curry leaves start spluttering add the sliced green chillies and half of the chopped coriander leaves. 4. Add the fried okra, red chilly powder, mango powder and salt. Mango powder gives a tangy taste to the bhendi. 5. 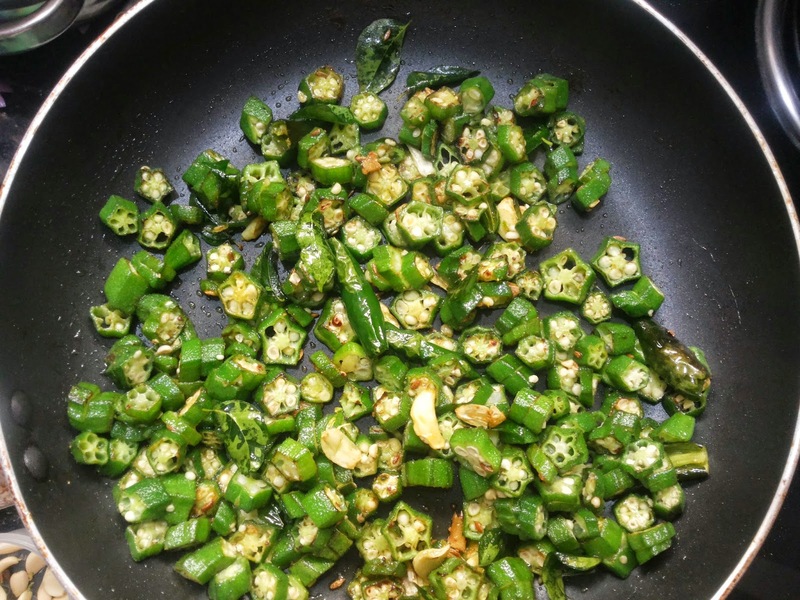 Cover the vessel with a lid and allow the okra to get cooked for around 5 mins. Mix well and fry around for another 5 mins. 6. You can grate this with coriander leaves and serve with hot chapati / Roti. Make sure that you add salt at the last since salt leaves water and can make the bhendi sticky. 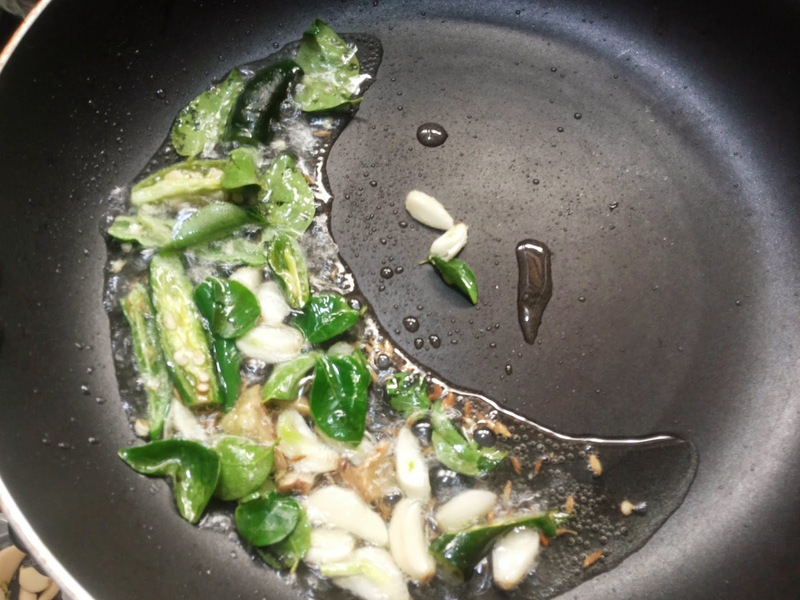 If you do not have time to fry the bhendi then you can just add the chopped bhendi soon after you add mustard and cumin seeds to the oil on a medium flame and fry it nicely until the bhendi becomes dry and then add the rest of the ingredients.